This project is basically to bring Cabin culture in India and to create small beautiful cabins away from the crowded where traveler from not only India but all over the world can come and not only to see but live local culture and their way of life. We believe that Travel is all about people, So while traveling We usually stay with locals, use couch surfing, Helpx, Woofing etc platforms, so that I could meet maximum people and we'll share beautiful human stories. Why we are doing this, or what inspired us to do this instead of going for any corporate jobs, reason behind this project is to revolutionize the experience of hostel culture in India by bringing #CabinInWoods. In October 2017, We been to a village in West Bengal named as Sakyong and there We stay with a family for 7 days in a beautiful small cottage. In these 7 days something happens, we come with an idea of bringing Cabin culture in India. Today, Youth of our country would love to stay at Cottages, home-stays, hostels, with locals rather then fancy Hotels. So what’s different from other Hostels or Hotels, our vision is to create a Eco backpacking hostel which have if not minus than zero carbon foot print, we have worked on ecological perspective of a hostel in woods where people will be living and how it will affect the surrounding environment and we have worked on how to minimize this effect. We plan to have everything organic and ecological. 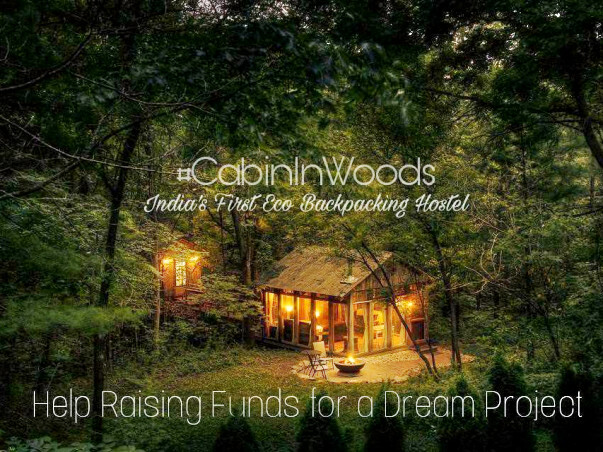 The Idea is to start India's first Eco Backpacking Hostel chain with the name 'Cabin In Woods'. The concept is simple We choose the most beautiful locations throughout the country, take these beautiful cabins on lease and develop them for backpackers, frequent traveler's and like minded people who love to stay in these beautiful Cabins in woods away from the crowd. We want to build a community which represent the ultimate Adda for travelers around the world. Specialty of these kind Hostels are that they are In the woods away from the crowded places, In the lap of nature, with Zero carbon Footprint where everything is organic, solar power equipped with all facilities and where you Pay as you please. First we start with one cabin in Kasol, Himachal Pradesh, develop it according to our concept and then we expand. Me and my team work very hard for this project and I don't want just because of funds we have to stop this beautiful project. Because In travel there is a saying " People are rather going to help you then to hurt you" . And I believe my will help me out in my start-up. My Idea about Funding this project. I will going to Hitch-hike the country( 10000 km ) without the wallet, My route is in the shape of heart which show the love for my country, I am traveling India to share my idea with people and raise funds for my Dream Project #CABININWOODS. This is going to be Largest GPS drawing made my any Human ever and is a Guinness World record. My Idea is to raise funds for my Project Cabin in woods while traveling the country. 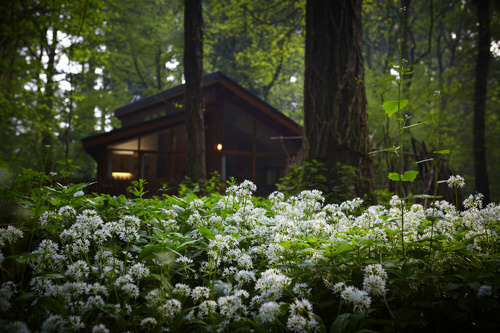 Why Cabin In Woods ? Don't you want to stay here for a night? Pay as you please! I think you got your answer! What you will get as a contributer? Free invites and stay to CabinInWoods property throughout the year. Stay with CabinInWood anytime you want during your vacation or trip. Throughout the year I will personally assist you if you have any problem related to plan your trip, trek or expedition you can call me 24*7*365 anytime. If you want me to plan your trip, I will curate the complete trip for you anywhere around the world within best budget for free. 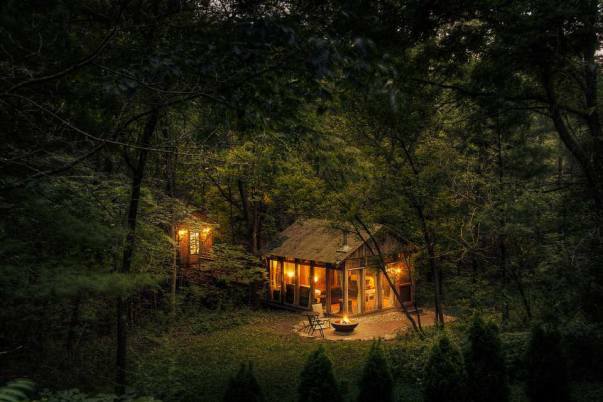 If you are a brand I will promote and do promotion on our page and on every property of Cabin in woods. You became family which help a 'Dream' to come true. This is a Dream project and I will be grateful to all of you, if you contribute a little because that make a huge difference. Please share this campaign so that it will reach to maximum people. Contribute a little to make this Dream a reality! Here is an update on the campaign. Continuing with my journey, currently, I am in Mumbai. I have completed 9000 km of the journey and 1000km yet to go. 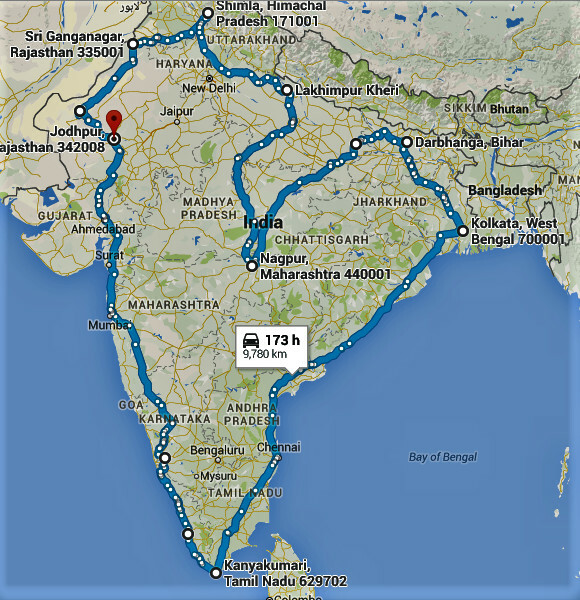 After completing the journey, I am planning to go to Himachal Pradesh. There with the help of my friend, we will be purchasing the land to build the CabinInWoods. Will keep you posted o further progress of the campaign. Thank you for your support and love. Here is an update on the progress of the campaign. I have started traveling across the country to propagate the idea of Cabin in Woods. My travel route is in a 'heart shape' across the nation, without carrying my wallet. Currently, I am in Rishikesh and will soon travel to Haridwar. During the course of the journey, I meet people and share my idea about cabin woods. The people I meet help me with the travel expenses, food and also support by donating to the campaign. Will keep you posted on further updates on my journey. Thank you for your support and love.